Want to design best cross-platform Mobile Apps - Use Xamarin!! Empower your mobile application development with Xamarin to reduce investment and time to market. The leading Xamarin apps development company, Raybiztech, offers excellent Xamarin application and leverage C# to develop enterprise level applications. Our Xamarin services help companies to create user friendly and transactional applications that can be used further across diverse mobile development platforms. Raybiztech has set up a Xamarin Center of Excellence (CoE) that offers leadership, best practices, research, support, and training on Xamarin. What is Xamarin? How it works? Xamarin is a tool used for cross-platform mobile app development that allows engineers to share about 90 percent of code across major platforms. A strong mobile application development platform, it is based on the Microsoft Technology stack and already has a community of over 1.4 million developers worldwide. Xamarin is a contemporary platform to develop mobile apps with all the required aspects. It is a cost-effective processes and fast coding enables it to offer native-like user experiences. As a result, hybrid app developers are loving it and switching from conventional platforms to Xamarin. In addition, Xamarin has portable class libraries (PCL) and suitable application architecture, which enable developers to share code across the mobile platforms with minimal hassles and for flawless experiences. Xamarin Component Store allows adding the controls, web service APIs and more top-quality components to your app directly from your IDE, which increases your app performance largely. Xamarin Mobile apps help build native iOS and Android mobile apps using powerful C# language and large portion of shared code. Enterprises can now seamlessly develop integrate Xamarin mobile apps with Cloud, IoT and Analytical solutions and create real-time business environment to provide best services and products to its customers and employees. Ray Business Technologies has been at the forefront on Xamarin Mobile Apps Development. 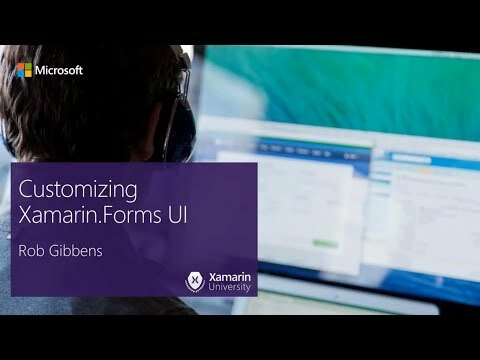 It has excellent capabilities in Architecture Consulting, Development, Migration, Integration, Reporting, Analytics, Administration, Integrated Marketing, E-commerce, UI Personalization, Load Testing, Support, & maintenance, Application Dashboards, Training, Security Audit, and Performance Optimization for Xamarin. End-to-end Xamarin application development across various business domains like ecommerce, healthcare, education etc. Spontaneous and user friendly UI/UX development. Certified Xamarin developers and well-experienced C# developers. Cross platform app migration and maintenance services. Raybiztech has an intensive experience with Xamarin Development services. Xamarin can change the product development phase of your products when you design the application under our expertise. Raybiztech helps clients augment the user experience, accelerate the sales process in compliance with the current trends through interactive, personalized, customer-centric ecommerce apps developed on Xamarin. Raybiztech offers best Xamarin Support & Consulting Services to companies globally. Our Xamarin certified developers have deep knowledge and are experts in Xamarin cross-platform application development. Raybiztech is a leading Xamarin App Development company having a team of professional developers who carefully understand the core functionality of Xamarin, and always try to make best Native UI with it. Xamarin has several advantages over other development platform that uses mobile platform’s native languages. Raybiztech offers various Xamarin Migration services and helps you easily migrate from one platform to another. Raybiztech offers excellent Xamarin Implementation & Integration services. Raybiztech has a team of experienced professionals who shall do a seamless Xamarin Implementation for you. Xamarin: The future of mo..